Did you know that (ex)-service personnel often make the best project managers? Why? Because from your time in service many of you have already implemented much of the skills required to be a good project manager. Good project managers are dedicated to delegating a team and getting the job done, within time limits and with resource constraints. These are skills that resonate with service and ex-service personnel. SPOCE Project Management recognise this unique connection and so offer a range of courses and course bundles that qualify for Enhanced Learning Credits (ELC) to provide financial support for your qualifications. As service and ex-service personnel, we believe that you deserve to embark on your next career move full of confidence that you have the right tools to do a great job. Having the right qualifications to add to your CV enables you to do this. SPOCE Project Management is one of the longest standing Accredited Training Organisations in the business and the flagship training company for globally recognised project and programme approaches such as PRINCE2® and MSP®, so you know you are in good hands. We are dedicated to providing an excellent service and support to our (ex)-service personnel so that you can embark on your second career with confidence. We are fully accredited members of ELCAS (the MODs Enhanced Learning Credits scheme) that provides financial support for your studies. We provide a range of courses and course bundles, so you can upskill with confidence. We offer a range of learning options that will suit any delegate, from traditional classroom training to online e-Learning. We also have our innovative new live and interactive ONLIVE Virtual Classroom training, which allows you to log in to live training sessions from anywhere. 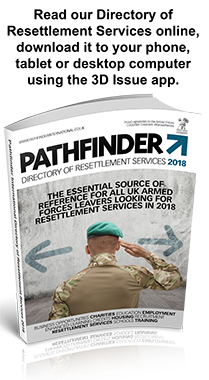 Download our resettlement brochure here. Here are just some of the courses and bundles we offer but please click www.spoce.com/elc-home to see our full range of courses, our combination courses and get more information about ELC credits. PRINCE2® and PRINCE2 Agile® are registered trademarks of AXELOS Limited. Used under permission of AXELOS Limited. All rights reserved. AgilePM® is a registered trademark of the Agile Business Consortium Ltd. All trademarks are used under the permission, and remain the property, of their respective owners and are used for identification purposes only.